Pam Victor is an improv comedian, teacher, consultant, author, and nice person. She would probably like you. 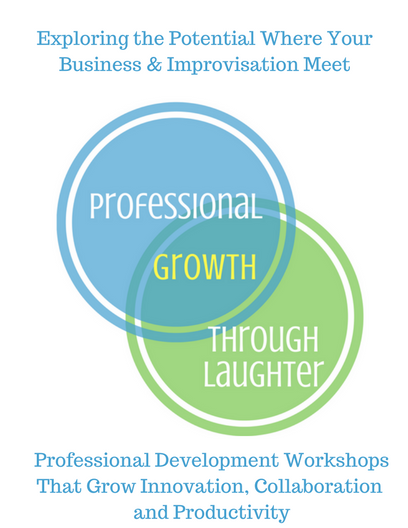 The THROUGH LAUGHTER Program provides workshops and retreats that use improv to improve your life. The THROUGH LAUGHTER program takes select, non-performance exercises used to train improvisers and applies them specifically to the personal and professional setting in order to provide powerful tools and vocabulary for bringing improved communication, collaboration, and creativity to your work and home lives. Stephen Colbert says of TJ Jagodowski and Dave Pasquesi: “One of these guys is the best improviser in the world. And the other one is better.” Now both the best and the "bestest" improvisers in the world have written a book, along with their trusty scribe, improv-journalist Pam Victor. "Improvisation at the Speed of Life: The TJ & Dave Book" was named the #1 Improv Book of 2015 by Improv Nerd's Jimmy Carrane. Pam developed and teaches at the Happier Valley Comedy Training Center, a small improv school with a big heart in Western Massachusetts. 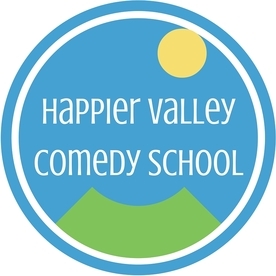 From classes for absolute beginners to advanced classes for experienced improvisers, the Happier Valley Comedy Training Center provides an entire multi-level curriculum of improvisation (and maybe life) focusing primarily on heart- and mind-full improv comedy in a highly supportive, positive environment. Pam teaches The Zen of Improv as well as her other specialty workshops all over the nation. She'd love to turn you on to the joys of ease-ful improvisation and to show you all the many improvluscious ways that you are enough. 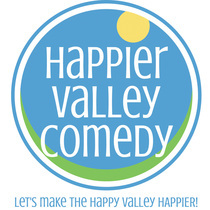 Pam is the founder and Head of Happiness (President) of Happier Valley Comedy, whose mission is to bring more laughter and joy to Western Massachusetts (and the world.) Visit the HVC Theater in Hadley, Mass. The Zen of Improv is a sassy (and sometimes saucy) series of essays on the place where Zen thinking and improvisation meet. And here's a secret: It's not only about improvisation. It's also about _________. Pam writes The Zen of Improv specifically for her students in response to questions and moments that arise in class and generally for improv playmates all over the world. ​Perhaps you'll find one or two useful as you move along your journey? Geeking Out with… is a written interview series in which Pam Victor follows Del Close’s edict to treat improvisers as “geniuses, poets, and artists”and, boy-oh-boy, they don’t disappoint. Pam has interviewed a cavalcade of wildly talented, deep thinking improvisers. Geeking Out With...the LIVE Talk Show is a geektastic interview show where Pam sits down with comedy festival headliners in intimate conversations that get down and dirty about the inner workings of their craft. 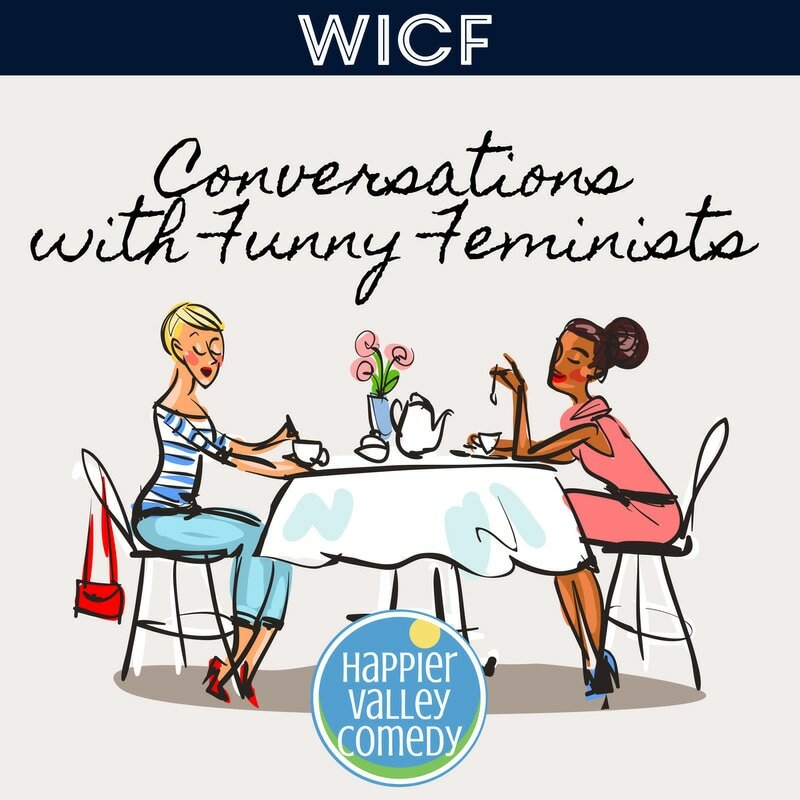 ​Podcast host Pam Victor geeks out with funny feminists about the state of women in comedy and in the world with a focus on providing practical tips that listeners can take to their next class, rehearsal, show ... and to your life too.